Celebrate the best of Hip Hop with Rick Ross, Yo Gotti, Remy Ma, and Philly’s own: Gillie, Ms. Jade and Kur at Boardwalk Hall. The show will take place on Saturday, March 18 at 8 p.m. and will bring the best of Hip Hop to Atlantic City. 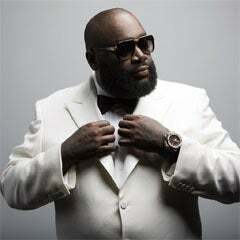 This show will mark the first time that Rick Ross and Yo Gotti will share the stage in this area. This show is proudly presented by Platinum Productions. Tickets are priced at $110*, $85, $65 and $50 and will go on sale on Friday, February 10th at 12 noon. Tickets will be available at the Boardwalk Hall Box Office, Ticketmaster.com, Ticketmaster Outlets or by phone at 800-736-1420. Group sales are also available for groups of 10 or more. For group sales, call (609) 348-7022. *Combo Package includes a ticket to the show and the after party at Boardwalk Hall in the Adrian Phillips Ballroom. The Atlantic City Sports Commission was officially formed on January 13, 2015 as a 501 (c)(3) organization with the support of Meet AC and the Casino Reinvestment Development Authority (CRDA) to attract sporting events, conventions and competitions to Atlantic City. The only agency of its kind nationwide, the CRDA has used Atlantic City casino reinvestments as a catalyst for meaningful, positive improvement in the lives of New Jersey residents. Under the 2011 Tourism District Act, CRDA’s mission evolved from statewide projects to becoming the state’s key economic development agency for Atlantic City, resulting in nearly $1 billion in economic development and non-gaming attractions. In total, CRDA has invested nearly $2 billion in more than 400 projects statewide since 1984. CRDA responsibilities include land use regulation, clean and safe initiatives, tourism marketing, and ownership and oversight of the Atlantic City Convention Center and Boardwalk Hall.